The Zebra MC3100 has reached end of life. It has been replaced by the Zebra MC3200. 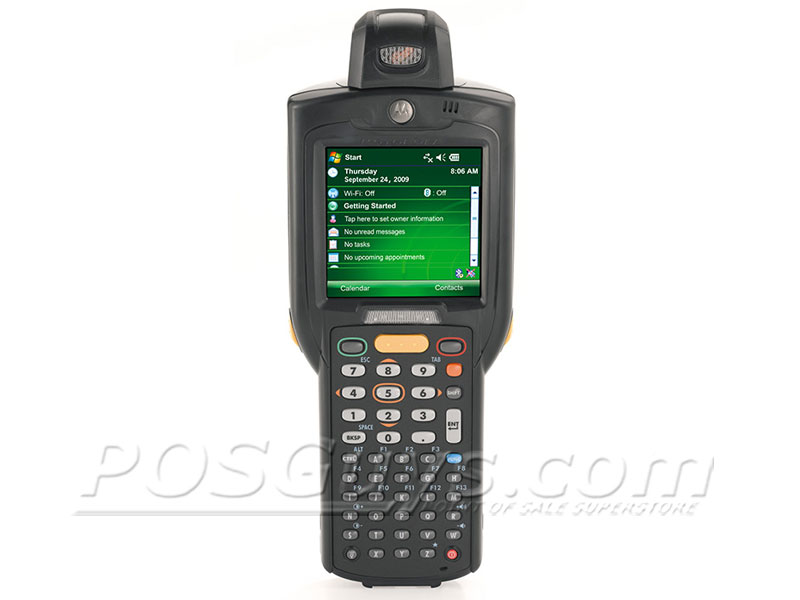 This product replaces the older Motorola MC3000. The Zebra Enterprise MC3100 and MC3190 mobile computers build on the strengths of the MC3000, giving you a fantastic and rugged solution for data capture within the four walls. Three unique form factors - a straight shooter, rotating scan engine, and traditional gun-style - meet the specific needs of different applications while eliminating unnecessary features. 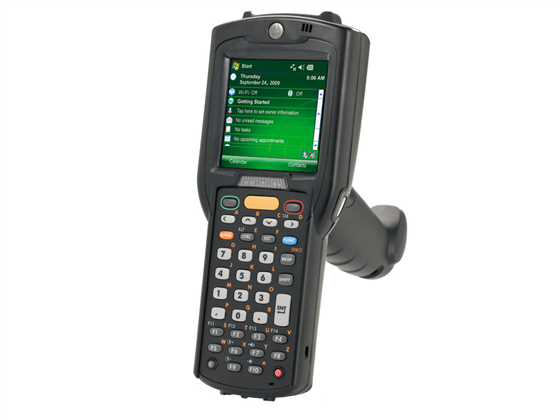 Powered by your choice of Windows Mobile 6.5 or Windows CE 6.0 Pro, the MC3100 is compatible with most major mobile application platforms. 256 MB of RAM ensures applications run quickly and easily, and up to 1 GB of flash storage can hold even massive data files. Data capture on the MC3100 is a snap with your choice of 1D laser scanner or 2D imager. For data transmission, the MC3100 provides quick batch processing, while the MC3190 offers 802.11a/b/g wireless connectivity. Zebra Enterprise built the MC3100 with industrial applications in mind, and the durability of the mobile computer will keep it running well. The rugged design of the MC3100 protects it from drops of 4 feet to concrete, and the IP54 environmental seal keeps dust and water splashes from harming the internal components. Able to operate at temperatures as low as -4° F, the Motorola MC3100 is an ideal choice for outdoor or cold storage inventory management. Additional Service from the Start warranties, including comprehensive coverage, further protect your investment, making the Motorola MC3100 a smart and economical choice. The MC3100 does not ship with charging or communications cables. We recommend purchasing MC3000/MC3100 Cradle Kit (CRD3000-100RES). 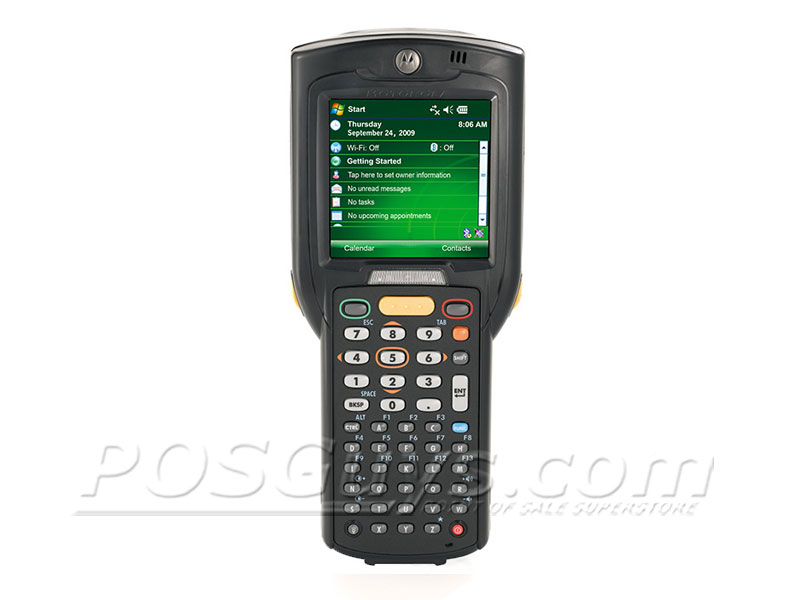 The Zebra Enterprise MC3190 mobile computer was also known as the Motorola MC3190. The MC3000 was one of our top sellers, and we expect the MC3100 to keep pace. The combination of industrial capabilities and a reasonable price makes the MC3100 is a great fit for retailers needing advanced durability but not all the features of a high-end industrial mobile computer. The addition of Zebra's "Blockbuster" SE4500 scan engine makes data capture easier than ever. Find it faster! Click here to compare MC3100 models by feature.